Big Ant Studios - Finals Footy - How will your team go? Big Ant Studios > Welcome to the Big Ant Forums > Rugby League > Rugby League / NRL / Super League > Finals Footy - How will your team go? Full Version: Finals Footy - How will your team go? 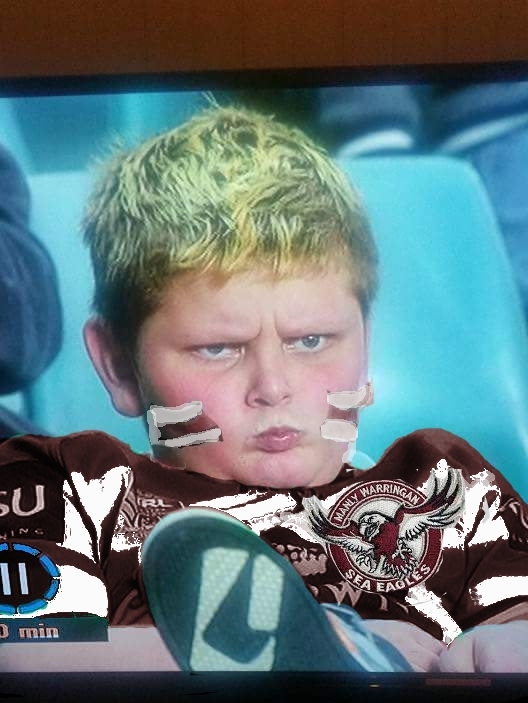 Here we go finals footy is just a few weeks away so I went ahead and made A thread, this part of the forum is an absolute wasteland and I thought I'd try and get some conversation going. I know the interest is there going off what happens in the RLL3 section. With Hodkinson gone for the season this could prove to be a god send for us, because he's not the most creative halfback, or on the other hand be the bullet in the head for us, due to him being pretty solid at times and probably our best in play kicker. Also the wildcard Josh Reynolds is due back (I think) which also go either way as he can be a gamebreaker in a sense and throw games away for us. Mbye although showing some class throughout the season, I'm not fully convinced that he can carry the load of being our number one half, but I'm willing to be proven wrong. I think his kicking game is pretty bad and he sets himself way to far back to receive the ball for kicks. Hopefully big Des gives Damien Cook his full kicking license because with Reynolds and Mbye I see us losing the kicking battle with Hoko gone. I could go on but I'll leave it there. Lets get some Finals Footy Banter going! We're most likely going to win it. Yeah totally can't wait for us to go on a run through the fin..................Oh, I will see myself out. No Darius Boyd = Spoon. Newcastle learned a valuable lesson. I don't know how the Dragons will go, but I'll predict that we'll be playing the Bulldogs in the first round of the finals. Frankly, it'll just be nice to see the Red-V in a finals match for the first time since 2011. (09-01-2015, 09:59 PM)SOR Wrote: [ -> ] No Darius Boyd = Spoon. I'm confident we can handle the Panthers next week and let them have it, I'm very generous like that. Depending on the how the finals draw works out, i see a Roosters v Broncos/Cowboys grand final happening. Cronulla to be eliminated 1st round, along with St George. (09-05-2015, 05:50 PM)nbugge94 Wrote: [ -> ] Depending on the how the finals draw works out, i see a Roosters v Broncos/Cowboys grand final happening. Souffs to be eliminated first round. (09-05-2015, 05:50 PM)nbugge94 Wrote: [ -> ] Cronulla to be eliminated 1st round, along with St George.